Black Ronin Tanto Boot Knife - Heavy Duty Nylon Sheath | BUDK.com - Knives & Swords At The Lowest Prices! 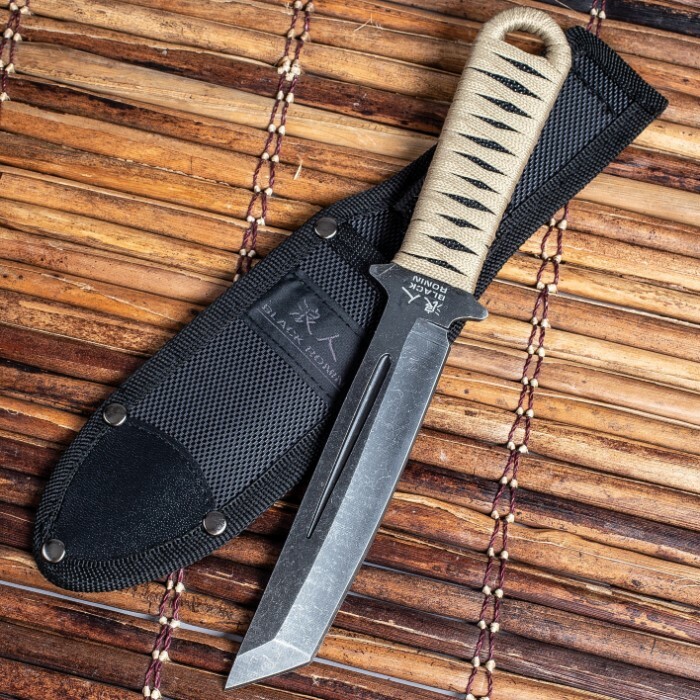 These boots are made for walking, and that's just what they'll do; but if your boots are packing a Black Ronin Boot Knife, you can do a whole lot more than "walk all over" your enemies! 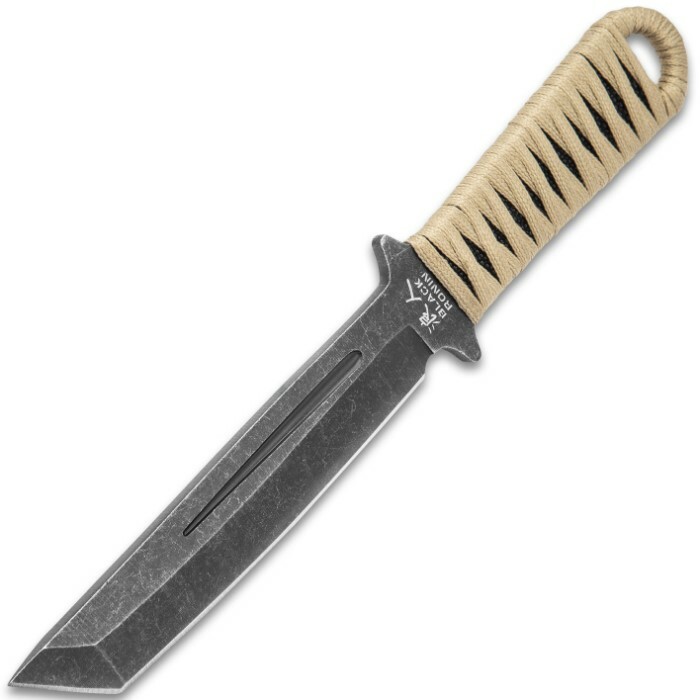 Great for self-defense, survival, tactical ops or simply everyday cutting tasks, this unique boot knife is a tanto terror with a rotten attitude and menacing style. It's a single piece of cold, hard 420 stainless steel, ensuring maximum stability and nigh-infallible strength. 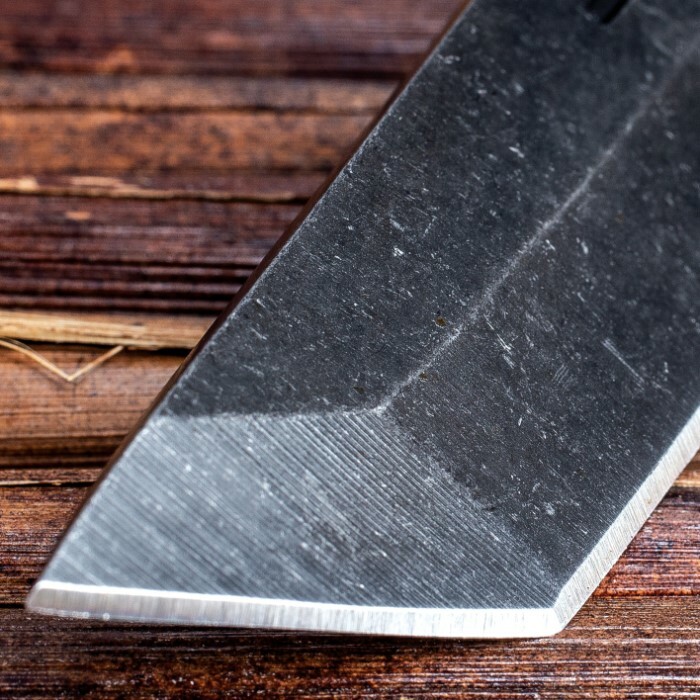 The sleek stonewashed tanto blade is carefully honed to yield a razor sharp edge, and the distinctively up-angled point boasts incredible penetrating power. 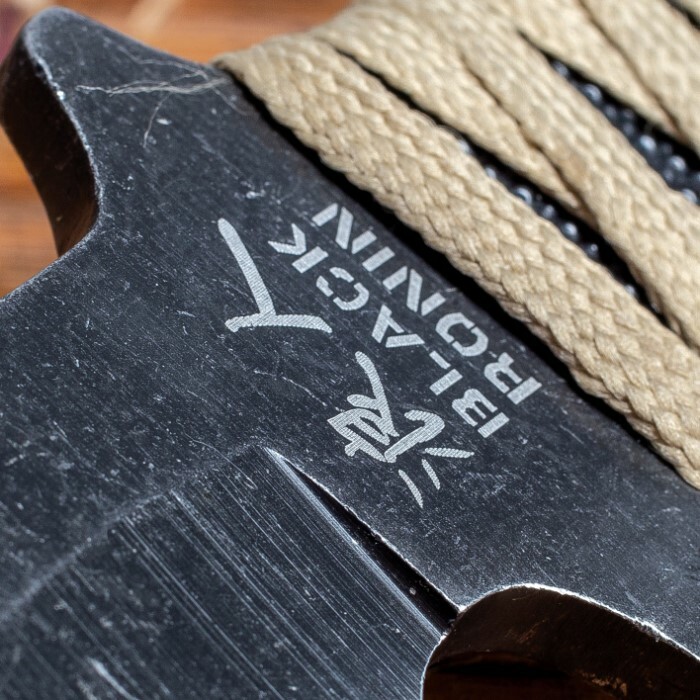 A nod to Japan's ancient tradition of incomparably outstanding bladecraft, the handle is wrapped in faux ray skin and cord for a comfortable, no-slip grip. 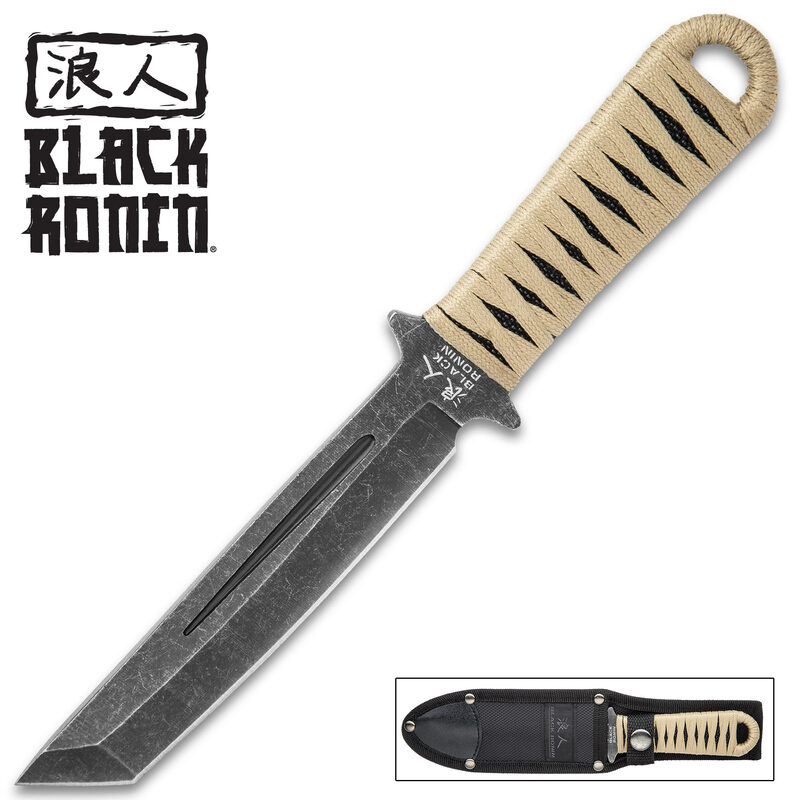 And you don't have to wear boots to dig the Black Ronin Tanto Boot Knife! This capable fixed blade is an equal opportunity savage, perfect for tackling anyone's rigorous cutting needs - even staunch sandal-wearers! The included heavy duty nylon sheath allows for easy belt carry, and the integrated lanyard hole provides even more transport and/or lashing options. No boots? Put a boot knife in your foes' derrieres instead! But don't trust just any old boot knife with such bold combat maneuvers; always bet on black - the one and only Black Ronin!